Honestly, how did you think coverage was going to be extended to millions while maintaining the facade of low up-front cost? “Editing” or rationing services is the only way. Of course, they still haven’t found a way to actually fund the IRS to do what the bill says and they’ve also forgotten our children with this bill. Let’s go for three. In September, the Food and Drug Administration will try to take the anti-cancer drug Avastin “off-label.” Avastin is a Stage 4 drug used to battle breast cancer. Avastin is not a cure but has been shown to stop the growth of cancer for an average of five months — meaning some late stage breast cancer victims live beyond five months. But late stage breast cancer patients do not fit into the cost-benefit analysis of the Obama Administration. We told America rationing would happen if the health care takeover bill passed and in September, women with breast cancer will be its first victims. … this year they changed the mammography standard from 40 to 50, which could result in millions of women going undiagnosed. Where is the outrage? Where are the feminists on this one? NAACP to Stand Up to Left Bigotry? Where did those remarks come from? Oh, they came from a LIBERAL talker. When Gladney was called an uncle Tom, when Lt. Col. Allen West, Hermain Cain, Alfonzo Rachel, Cedra Crenshaw, Andre Harper, I could go on, are called racial slurs, where do those slurs, as reported by them, come from? They come from the left. I agree and am glad to see that the NAACP is going to stand up to the political ideology that purports to support its goals while tearing down members of the black community if they aren’t liberal. I’ve yet to see a liberal defend a black conservative – and it’s interesting to note: no one knew Kenneth Gladney’s politics before extending him the support he deserved. Frankly, I still don’t know the man’s politics, being that the first time I saw him was across the street at a rally where he was selling pro-Obama buttons. He’s a capitalist. That’s the extent of what people know. But of course, the right didn’t ask him to fill out a form and cite his political allegiance before determining whether or not we would help him. When the left is willing to talk the talk and walk the walk, then we’ll get somewhere. I hope Shelton keeps his word. 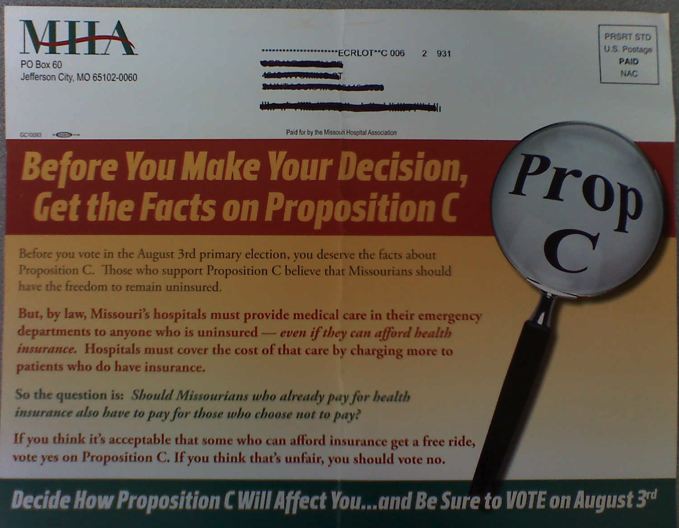 (Jefferson City, MO) — A Cole County judge has dismissed a lawsuit that sought to stop an Aug. 3 ballot issue vote offering Missourians a chance to express their position on the nation’s new health care act. Judge Paul C. Wilson ruled late Friday against Jefferson City attorney Chip Gentry’s argument that the ballot issue exceeds its original purpose and does not contain a clear title focused on a single subject. 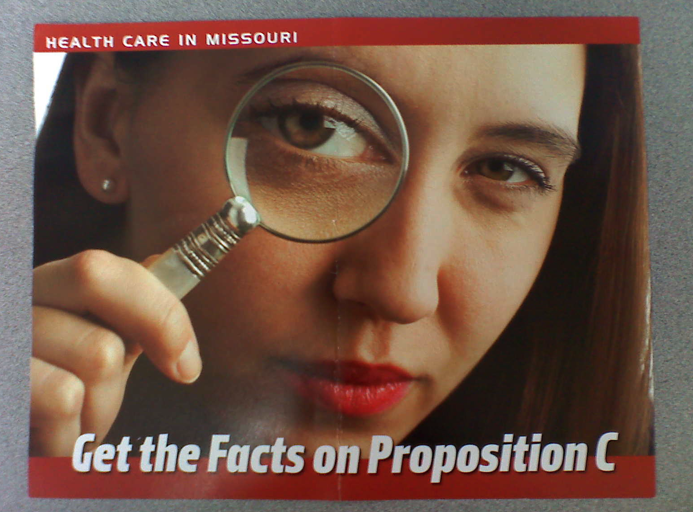 Patrick Tuohey of Missourians for Health Care Freedom said he was happy Missouri would be the first state to hold a referendum on the broad-based federal health care reforms of 2010. Yes on Prop C August 3rd.